Tramp Protector is a set of innovative, pneumatic, protective mats produced in the AIR JUMP® technology. 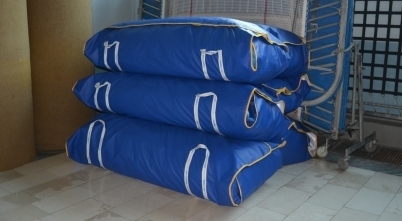 That innovative structure of inflatable sports mats eliminates all the previous inconveniences and difficulties occurring during the transportation, use and storage of traditional equipment. The main advantage of Tramp Protector mats is the possibility to fold and unfold them quickly, and so during transportation and storage they take up much less space than traditional foam mats. 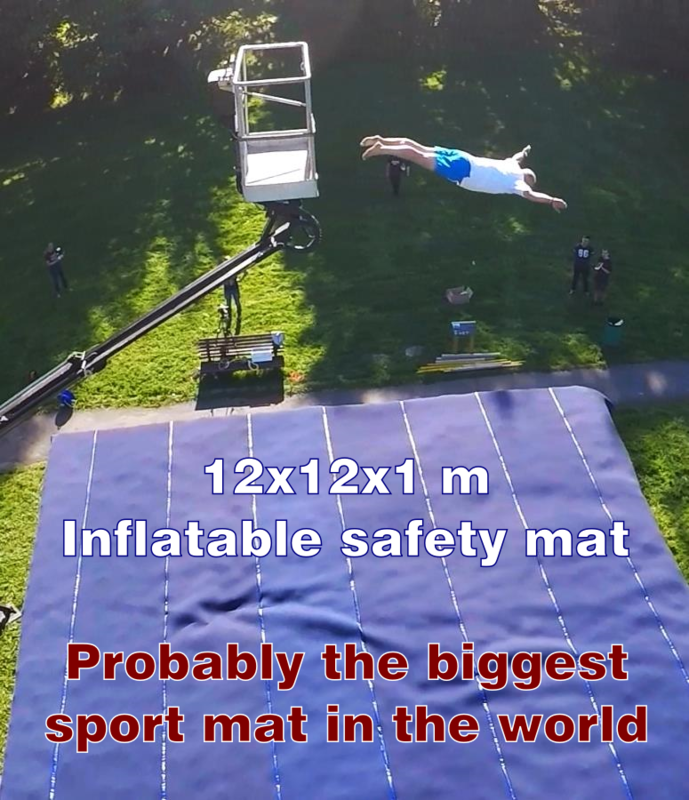 The exceptional comfort of use and the effectiveness of using the warehouse space make Tramp Protector irreplaceable in the sports disciplines that require the use of extensive protective zones constructed of many mats – such as TRAMPOLINE.